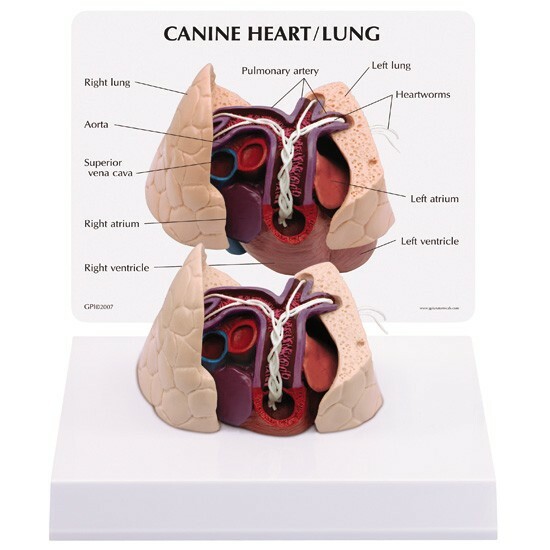 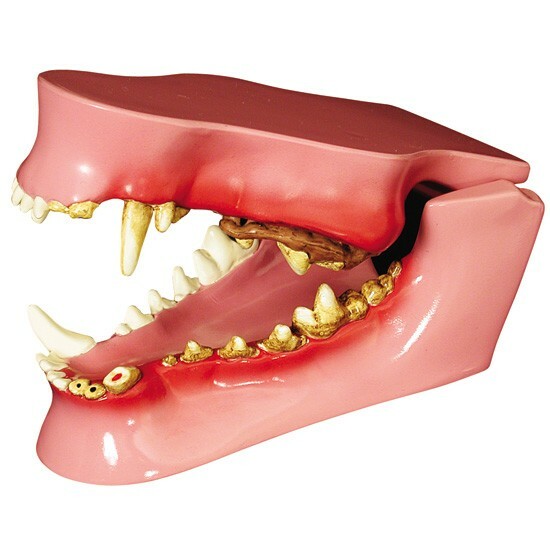 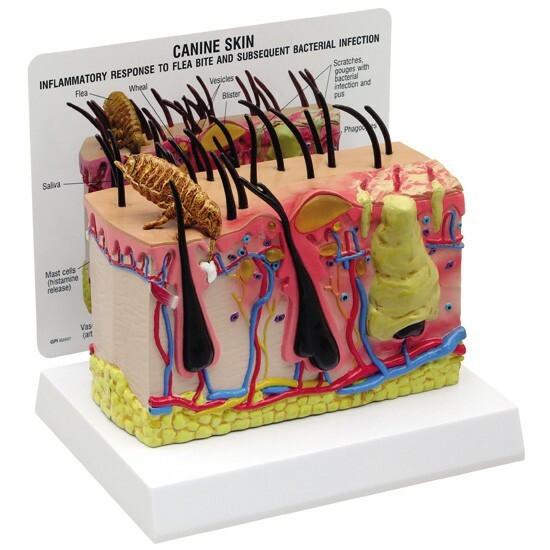 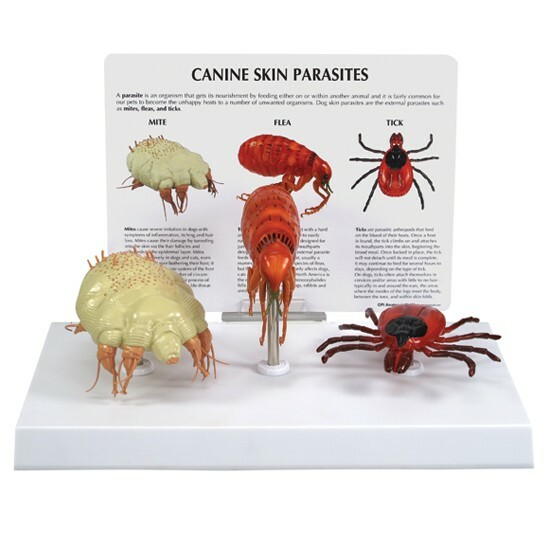 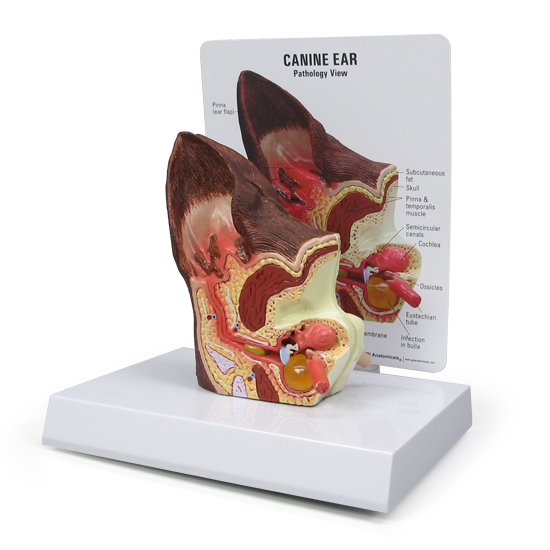 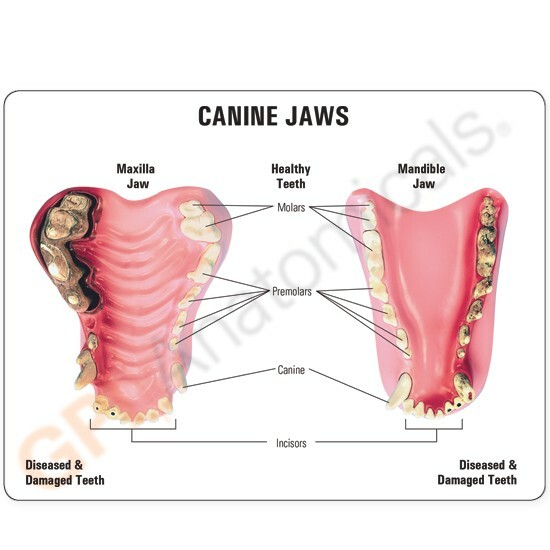 Canine jaw model of average size depicts healthy teeth on the right side and diseased and damaged teeth on the left. 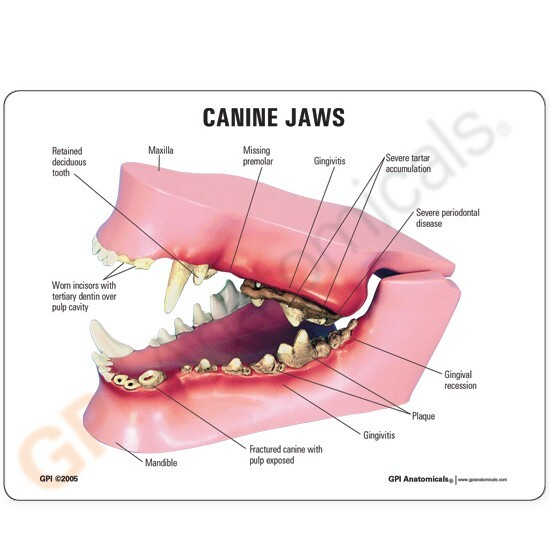 Featured pathologies: fractured canine, periodontal disease, tartar accumulation, plaque, gingivitis, worn incisors, retained deciduous tooth, missing premolar and (canine) gingival recession. 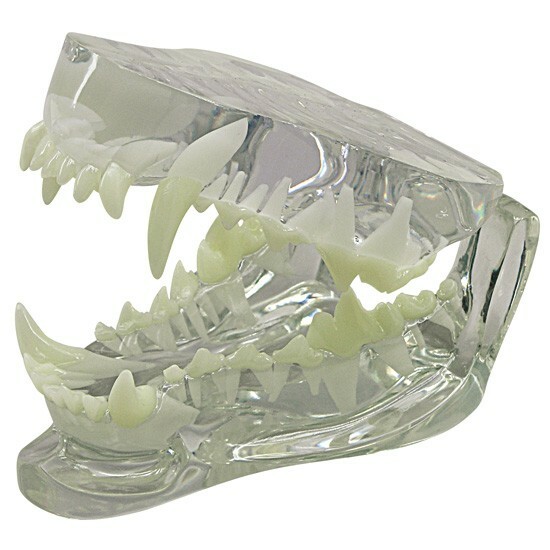 Jaws open, close and separate for closer study.